Look West, Danny- there's a new man in Clipper Town? 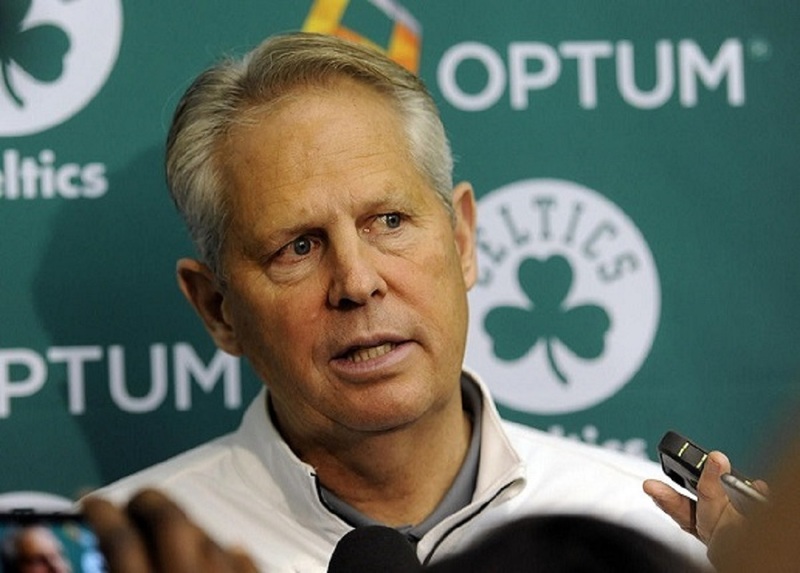 Celtics President Danny Ainge has his eyes on another championship. No big news there. One of the Cleveland Cavaliers' major weapons, Kyrie Irving, is now in Boston, and nobody knows what the Cavs roster will look like this season. So Danny has his eyes focused on the western conference, specifically on the Golden State Warriors. He may want to also gaze further south in California and take a look at the Los Angeles Clippers. 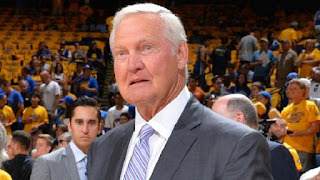 There is a new guy in Clipper town, and his name is Jerry West, otherwise known as The Logo. But he is much more than simply the image on the NBA logo. The old Boston vs. LA battles may return in the next few years, but with a different look. West was a vital part of the Los Angeles Lakers teams that always lost to Bill Russell's Celtics. Jerry was the only player on a losing team to win the NBA finals MVP award. He had a 42-point, 13-rebound, 12-assist line in the final game seven. It was another losing effort. I attended an event promoting the book Ten times a champion hosted by author Marc C. Bodanza and former Celtics star, Sam Jones, the subject of the book. When asked about his toughest opponent, Sam did not hesitate. "Jerry West! I told Red 'I can't guard West. You need to have Havlicek guard him'". Zeke from Cabin Creek was a terrific super star. Since his playing days, Jerry has quietly constructed championship teams. As GM of the Lakers he traded for Kobe Bryant, fresh out of high school, and signed Shaquille O'Neal. Then he brought in Phil Jackson as coach. These moves led to the Lakers dynasty and five championships. The horrified reaction from Southland basketball fans to Monday’s announcement that Kevin Durant was joining the Golden State Warriors was not about his destination, but his transportation. He was supposedly talked into it by Jerry West? Are you kidding me? 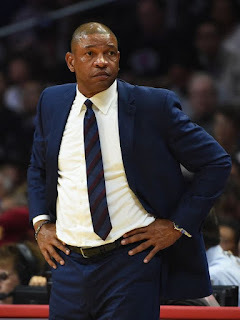 The architect of two different Lakers dynasties — he has seven Lakers championship rings, including one as a player — is creating another one with a rival team in the most rival of cities at a time when the Lakers franchise is coming off its two worst seasons ever? West won two more championships with the Warriors. He has moved south and is now with the Clippers. He joins former Celts, and present Clips, coach Doc Rivers. Doc, like the Celts Brad Stevens, seems to be a coach that many NBA players want to play for. This makes for quite a pair. You have a dynasty-building exec paired with a veteran coach that knows knows Danny and the Celtics culture very well. On our side, we have a very shrewd team president also attempting to construct a dynasty and a top-notch Celts coach with a player-friendly manner. 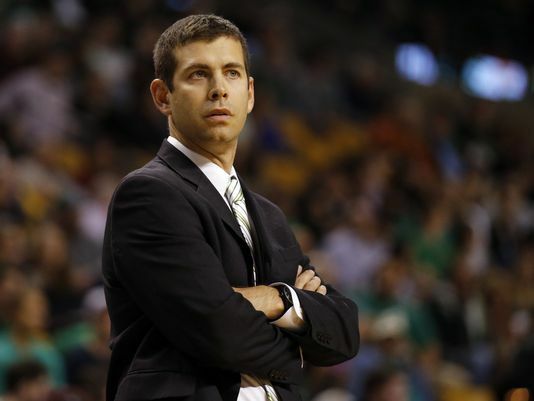 Ainge saw a gem of a future NBA coach in Stevens. Danny and Celts owner Steve Pagliuca, a Duke grad, attended the 2010 NCAA championship game pitting Brad's Butler Bulldogs against Mike Krzyzewski's Duke Blue Devils. Ainge told Pagliuca that he considered Stevens the best coach in the building that night. Quite an endorsement considering Mike's history of success and Steve's loyalty to his alma mater. It almost seems like Jerry's revenge, doesn't it. He collected only one championship ring in his career, mainly because of the strong Boston teams. We were always in his way. West created a super Lakers team that the Celts and every other team had trouble with. He convinced Kevin Durant to snub Boston and come to Golden State. We know how that turned out. Now he is with the Clips. I see this as a chess game. Danny may want to consult with chess whiz and rising star, Jaylen Brown. Now, whose move it it?